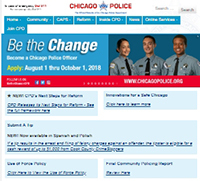 The CPD website is designed to provide general information about the Chicago Police Department and the Chicago Alternative Policing Strategy. You will also find information on how you can make your neighborhood a safer, more enjoyable place to live. The FOP (Fraternal Order of Police) is a union serving and representing our active and retired Police Officers. The Chicago Police Memorial Foundation is a not-for-profit organization dedicated to honoring the lives and memories of our fallen heroes. The Foundation provides support and assistance to the families of Chicago Police Officers who were killed or catastrophically injured in the line of duty. 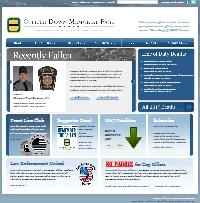 The Officer Down Memorial Page memorializes our nation's heroes who have been taken from us in their service as law enforcement professionals. The 100 Club of Chicago is the civilian organization that provides for the families of police officers, firefighters and paramedics who have lost their lives in the line-of-duty. The Club helps families ease the financial burden associated with the tragic event, including immediate financial assistance and the ongoing cost of higher education. All federal, state, county and local police officers, firefighters and paramedics stationed in Cook County are included. 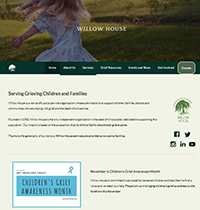 ​Willow House is a non-profit, social service organization whose sole mission is to support children, families, schools and communities who are coping with grief and the death of a loved one. 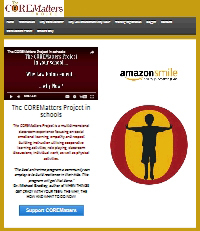 The COREMatters Project is a multidimensional classroom experience focusing on social emotional learning, empathy and respect building instruction utilizing cooperative learning activities, role playing, classroom discussions, individual work, as well as physical activities. Federal Emergency Management Administration (FEMA) resources for the public to be better prepared for various catastrophes and disasters. (Loving Outreach to Survivors of Suicide) program for adults and children, offered by Catholic Charities of the Archdiocese of Chicago. 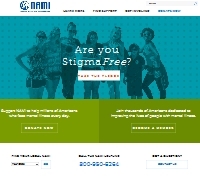 NAMI is the nation's largest non-profit mental health advocacy, education and support organization. This worthwhile cause assists in the training of Chicago Police Officers in dealing with critical incidents involving the mentally ill. When 9-1-1 needs 9-1-1 ... Serve & Protects assists in facilitating trauma services for public safety professionals nationwide. Al-Anon and Al-Ateen: Finding strength and hope for friends and families of problem drinkers. 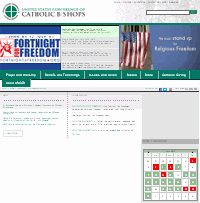 Getting Married in the Archdiocese of Chicago? The Family Ministries Office is here to help. Here is the link to Pre-Cana and other helpful resources. The Archdiocese of Chicago's Family Ministries office hosts "Pre-Cana" and other marriage preparation programs for engaged couples at locations throughout the city and suburbs. When registering, be sure to note the difference between "Regular" Pre-Cana and "Special" Pre-Cana offerings. 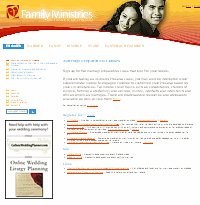 Interested in Natural Family Planning? Here are some very helpful resources. Has your marriage lost some of the "Glow"
Has your marriage lost some of the "Glow" it had when you were newly married? Would you like to re-ignite the flame there was some years ago? Please consider this weekend retreat. Mercy Home for Boys & Girls is a children's charity dedicated to providing a solution for at-risk children in Chicago, Illinois. Help pave the way to a brighter future for troubled children and teens in Chicago. 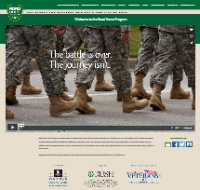 The mission of Rush University Medical Center's ROAD HOME PROGRAM is to take care of the needs of veterans in any way possible. The Chicago Police Lieutenants Association represents and serves lieutenants of the Chicago Police Department. 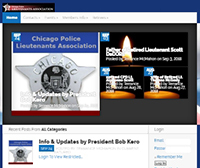 The Chicago Police Sergeants Association represents and serves the sergeants of the Chicago Police Department. Founded in 1932, the St. Jude Police League is the oldest fraternal organization associated with the Chicago Police Department. 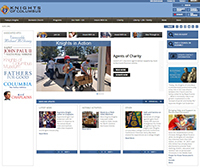 The league's mission is to help members' families during times of grief and loss. Fellowship of Christian Police Officers, a nationwide organization sharing Christ with those in the criminal justice system. The Chicago Police Marine Corps League is recruiting active, reserve, retired and honorably discharged Marines and Navy FMF Corpsmen willing to serve the veterans community. The Chicago Police Marines network with people and organizations that assist our mission. Brotherhood for the Fallen is a non-for-profit organization of Chicago Police Officers of various ranks, committed to attending the services of officers killed around the country by an offender and to give support to the Family, their police department and their community. The Emerald Society is an organization comprised of Irish-American police officers throughout the State of Illinois whose purpose is the promotion of Irish culture and goodwill through various charitable and social events. Upholding our laws and Constitution while proudly preserving the rich heritage shared by our German and German-American membership. Take a liking to a Viking ... The Scandinavian American Police and Fire Association preserves Scandinavian heritage and culture among first responders. The Chicago Police Enforcers football team is a recognized 501c3 charitable organization formed to raise funds for Police and Children charities. The Enforcers play in the National Public Safety Football League (www.NPSFL.com) against teams from around the country formed with similar charitable goals. A Magazine for the Police, Fire and First Responder Community. Federal Law Enforcement, State Police and County Police and Fire Departments. With branches throughout the city, you can trust CPFCU for all your banking needs. Dr. Oman specializes in helping adults as well as children manage problematic issues in their jobs, homelife, and social situations. She worked with several police officers who experienced anxiety, depression, and PTSD. Please call 773-550-6344 for further information. Dr. Kroll, very familiar with police culture, specializes in treating police officers facing issues and challenges of all sorts, from addiction and depression to Post-Traumatic Stress Disorder. Dr. Goldberg is very familiar with police culture and has experience treating issues that police are likely to experience, from PTSD to relationship issues. 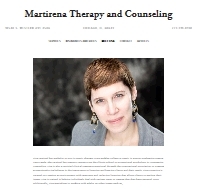 Specializing in treatment of anxiety anddepression, PTSD, Grief/Loss, Divorce/Marital Issues, Anger Issues and Stress Management. Pizano's Pizza, part of the Malnati's Family of restaurants, is the generous host of our monthly Faith Sharing/Bible Study/Prayer Group sessions. Thanks for patronizing such a generous and hospitable institution! Barraco's Pizza is some of the best around! Terrific service, tasty food, multiple locations and late hours makes this place very police-friendly. Mangia! 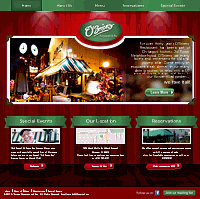 O'Brien's has been a very generous supporter of Police Chaplains Ministry. Stop in and thank proprietor Peter O'Brien for his constant generous kindness to us! Los Comales Mexican Restaurants... outstanding food, fast and friendly service with late hours. "Buen Provecho!" 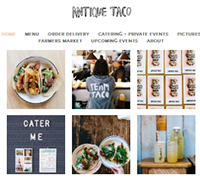 TERRIFIC Mexican food and drinks in Bridgeport, Wicker Park and downtown. Unique atmosphere. YELP gives them four stars. POLICE FRIENDLY. You must check this place out if you haven't been there yet!! Open for lunch and dinner every day. 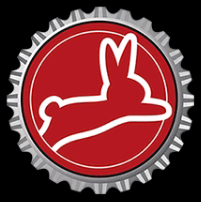 The Rabbit Hole is a great (and police-friendly) place to unwind. 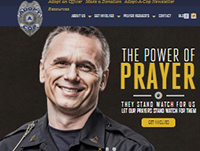 They proudly support the vital work of Police Chaplains Ministry. Let's support them in return! 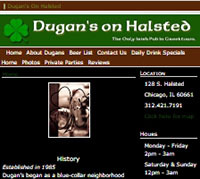 Dugan’s began as a blue-collar neighborhood bar. From the time it opened in 1985 it has been known as a ‘cop bar’. We still get our share of police officers, firefighters, and city workers, as well as tourists and neighborhood people. The Billy Goat Tavern at Navy Pier is perhaps one of the most unassuming places on the historic pier...it is also one of the most fun places! Reasonably-priced food and drinks PLUS a relaxed atmosphere make this a favorite by far. And they're very good to Police Chaplains Ministry! 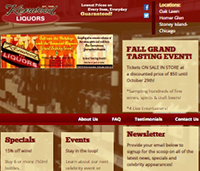 Kenwood Liquors offers a full selection of beers, wines and spirits at very competitive prices. They're also police-friendly and grateful for your service. Looking to host a benefit, 10-1 party, church, non-profit or other fundraising event? 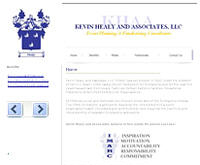 Kevin Healy and Associates has served us and countless others very well!! Kevin and his crew can be trusted from the start ... planning through the event and follow-up. KHAA is top-notch. I, Fr. Dan Brandt, vouch for them 100%. Need A Professional Photographer for a Wedding, Retirement, or Other Special Occasion? 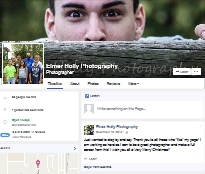 Elmer Holly Photography is a police-friendly business whose work is seen on this website and has been featured in the FOP news magazine. Contact Elmer directly at 708-200-3954. A series of police and family stories, some introspective, some just plain old cop war stories, some silly or whimsical and an occasional rant or two. Legacy Professionals is the CPA firm that we at Police Chaplains Ministry entrust with our accounting, tax, payroll and annual audit responsibilities. 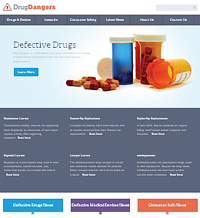 They are a top-notch group of knowledgeable, courteous, reliable professionals. Tuckaway Golf Club in nearby Crete, IL, appreciates the hard work police officers do every day. Come blow off some steam one this awesome course less than an hour from the city! PEERLESS EMBROIDERY provides excellent service with quick turn-around time and has been taking great care of Police Chaplains Ministry for years. Cosmetic Auto, located in Norwood Park, performs auto body and mechanical repairs of all sorts and is a POLICE-FRIENDLY business. Abbott Painting takes care of all your painting and home improvement needs. CPD owned, and offering a CPD discount. Need an electrician? 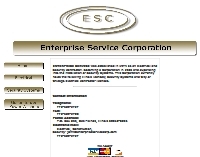 Enterprise Service Corporation does great work at fair prices. Part of the CPD family, they also provide/repair/maintain security and CCTV systems. 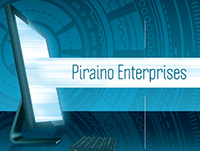 Piraino Enterprises is the only name you need to know for all of your Computer, Network, and Web Development needs. Why search for help when your equipment or network fails. One Company. One Call. Piraino Enterprises. Our reputation for professional friendly, fast, and dependable computer repair for Small Businesses and the Home User is known throughout the Chicago area.